Then the time is now to let me show you how LinkedIn, the largest database of professionals in the world, can help you do all this—and more. I’ve helped more than 100,000 people harness the unmatched power of LinkedIn, and thousands of those people are university staff and students. My book, The Power Formula for LinkedIn Success: Kick-start Your Business, Brand, and Job Search (now in its fourth edition), has been read by tens of thousands of people and includes a chapter that specifically addresses how college students can use LinkedIn to find internships and entry-level jobs. As an adjunct professor, I’ve taught LinkedIn classes at Marquette University, and I’ve been on dozens of college campuses, where I’ve educated and motivated students, faculty, alumni, and career services, advancement and marketing personnel. "We had Wayne on campus today, and during that time he spoke with hundreds of students, alumni, and employees. He was articulate, energetic, and gave us some practical tools that we and our student body can use to forward their career interests. "He inspired our students and alumni to use effectively this wonderful tool that LinkedIn is. I’d highly recommend him for your conferences and for any upcoming events. It’s a great use of the money and of the time." I offer everything from a two-hour student session to a full day of training that can include some or all of your departments—and I can even do a session to inform and impress your alumni and friends of your university. These sessions can be held on your campus or presented via webinar. We will have a planning phone call in which you can decide what is best for you, your students, and your budget. You won’t be getting a cookie-cutter program. We will discuss your needs and expectations, and then I will customize a program to directly address those needs and expectations. I’ve presented this session to groups of anywhere from 50 to 1200 students, from Boston to Los Angeles and dozens of other U.S. cities. Showcase their experience, projects, leadership skills, volunteer work, etc. "Wayne has done a few seminars at UW-Stevens Point on the importance of LinkedIn and using the platform for career growth and networking. I gained so much knowledge on this social platform which eventually led to me getting my dream job." "I would like to inform you about how your UW-SP seminar a couple months back helped me. After your class, I went and created my account and took all your advice, including sending a personal message with the connection request. After about a month, I had been offered a paid internship at Skyward, Inc. that will lead to a full-time, salaried career after I graduate. 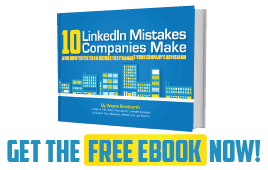 LinkedIn really does work, and your methodology is amazing." Your students will come away knowing exactly how to stand out from the masses and land a job where their skills will be valued and opportunities for advancement abound. Alumni engagement is challenging for most universities, but LinkedIn makes it easier than ever to access the contact and employment information of your alumni. Once you have this information, communicating with them about campus events, fundraising campaigns, and opportunities to engage with your students is quite simple. Many alumni are passionate about your university and are anxious to help students both while they’re still in school and long after graduation. I’ve helped universities connect with prominent alumni who were willing to sponsor events for their alma mater, eager to become mentors for students, and excited to recruit students for their companies at university job fairs. Your LinkedIn university page is essential to alumni, student, and parental engagement. I’ll work with your Marketing Department to create a compelling page that displays pertinent information about your institution. Then we will discuss strategies for using your university page and your LinkedIn alumni group to share valuable content with your students and alumni, promote university activities, and attract more people to your university page and website. First, I will show them how to create a compelling LinkedIn profile and build a dynamic network that will help them assist your students and promote your university. Then we will discuss how they can use LinkedIn to recruit prospective students, maintain connection with alumni as well as current and past colleagues, research information and join groups that are relevant to their area of expertise, and share updates about exciting things happening on your campus. Your faculty and Career Services staff will then be fully equipped to use LinkedIn to recruit new students and guide your current students through the process of discovering internships and jobs that will launch their professional careers. With over 600 million members in its database, LinkedIn is the perfect place to discover talented administrators, faculty, and support personnel. Let me show your staff how easy it is to use LinkedIn to find talented candidates who are a perfect fit for your university. This is the perfect way to engage with and impress your alumni and friends of your university. They will come to campus, network with your staff and fellow graduates, and walk away with actionable strategies and tips for using LinkedIn to grow their businesses and advance their careers. Connect with decision makers, vendors, volunteers, donors, etc. These sessions always get rave reviews—and because you provided this valuable information to them, chances are good that they’ll remember your generosity the next time you ask them to consider financially supporting your university’s mission. There's no better way than LinkedIn to find and engage with your alumni and help your students land terrific jobs and internships. Call me now at (414) 313-7785, email me at wayne@powerformula.net, or go to calendly.com/waynebreitbarth/linkedinfollowupcall and schedule a short phone call with me to discuss how we can work together to advance the mission of your university and launch the careers of your students. We’re capping off an amazing day. I’ll tell you, it was fabulous. I found Wayne on the internet. Then I started following him. I got his book. It was tremendous. And we asked him to come to Hocking to talk to our students. It was absolutely transformational. Wayne spoke to faculty and staff in the morning. Then we had to bring the bleachers down. We had to bring in extra chairs. I mean, the students packed the house. 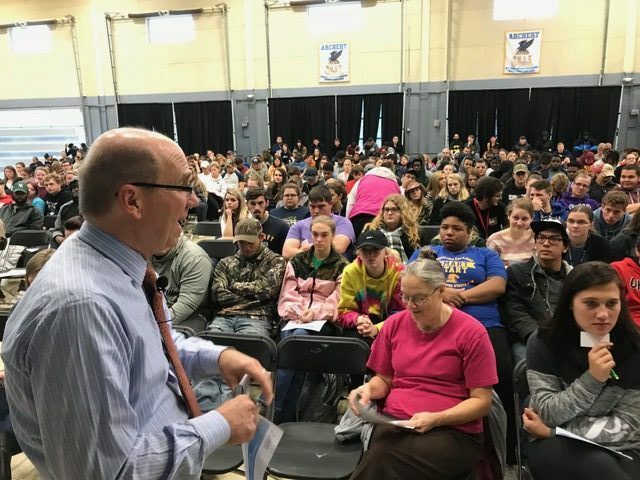 There were over 600 students on essentially a day off who came to hear how they could go ahead and leverage and change their search process with LinkedIn and set themselves up for a terrific career. Then Wayne met with the Marketing Department, the Enrollment Department, Human Resources, and also the Career Center. And then we just capped it off with an event for alumni and local business, academic and civic leaders. It was absolutely tremendous. I think everybody from all the organizations across the board had a terrific day, and we are going to have him back next year. I’m Emily Devereux, the Associate Director of Research Development at Arkansas State University. We’ve had Wayne Breitbarth on our campus for the past two days and he’s been consulting with our students, our faculty, the academic service areas, including student affairs, academic affairs, alumni, and advancement and marketing. We have had tremendous support and consensus building across campus. We’re building a cohesive strategy to implement student encouragement and education on LinkedIn, from the recruitment all the way through the alumni stage, to help network our students. The main goal is student workforce development success. I would highly recommend you having him on your university campus. My name is Jeremy Zimmerman. I’m the marketing director at California Baptist University. We had Wayne on campus today, and during that time he spoke with hundreds of students, alumni, employees. He was articulate, energetic, and gave us some practical tools that we and our student body can use to forward their career interests. The job market is difficult, and it’s only getting more difficult, and I think more than anything he inspired our students and alumni to use effectively this wonderful tool that LinkedIn is. I’d highly recommend him for your conferences and for any upcoming events. It’s a great use of the money and of the time. "Wayne received high marks from our students for his recent "LinkedIn: A College Student's Fast Track to Finding a Great Job" presentation. He brings considerable passion and energy to his topic and presents many easy-to-implement tips on how to improve your LinkedIn profile. We will definitely invite Wayne back!" "We asked Wayne to come to Hocking to talk to our students. It was absolutely transformational. He spoke to faculty and staff in the morning, then over 600 students. Then Wayne met with the Marketing Department, the Enrollment Department, Human Resources, and also the Career Center. And then we capped it off with an event for alumni and local business, academic and civic leaders. Everybody had a terrific day, and we are going to have him back next year." "Mr. Breitbarth conducted a workshop at our university: The Power Formula for LinkedIn Success: Special College Student Edition. It was a very engaging and informative workshop. Even those well versed in LinkedIn learned something new. Wayne shared a lot of very useful resources and readily made himself available to attendees. I'm hoping to have this workshop again in the next academic year." "Wayne has been providing LinkedIn presentations to junior and senior undergraduate business students in my career development courses for the last several years. Students often comment that Wayne's presentation is one of the most helpful and actionable presentations from the class." "Wayne did an outstanding job presenting to our student-athletes. I especially like how he crafted his presentation to meet their specific needs and gave them strategies they could put into place immediately. Students walked out of the presentation excited to put the lessons learned into practice. He also did an outstanding job relating to the students and making the presentation relevant."